75.03 acres of land (Dave Esmonde Farm) located 2 miles SE of Mendon on Neptune-Mendon Rd. in Sect 26, Union Twp. Mercer Co. Ohio. 18.63 acres of Tillable land, 23.20 acres currently enrolled in Conservation Reserve Program, and 32.22 acres of woodlands and creek. Of the 23.20 acres enrolled in CRP, 18 acres will come out at the end of enrollment this year Sept. 30th, 2018. That ground can be re-enrolled back into CRP if current program is offered, or it can be returned to farmland after Sept 30th, 2018. The remaining 5.2 acres of CRP ground expires on Sept 30th, 2021. The CRP ground currently pays $142/per acre. On Sept. 30th 2018, if you don't enroll the ground in CRP, the farm would have just under 37 acres Tillable to farm with an additional 5.2 acres coming out in 3 years which would make the total of 42.81 Tillable, along with the 32..22 acres of woods making the total 75.03acre farm. 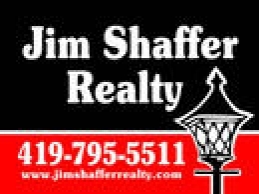 Call Jim for more info @ 419-795-5511.